GUELPH, Ontario – The first week of school capped off with a fun school-wide celebration at Willow Road Public School. On Friday Sept. 7, staff and students celebrated the grand opening of the school’s new playground. 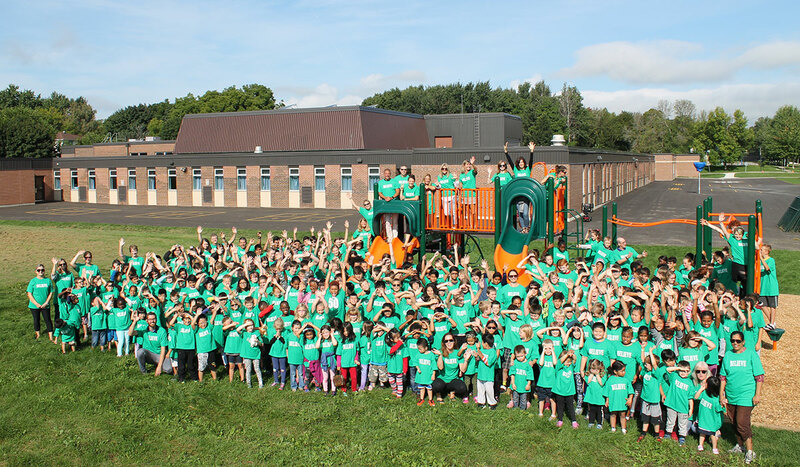 The entire school gathered outside in the sun around the new play structure to celebrate with a group photo, in matching green tees. This year, Willow Wildcats are celebrating the 50th anniversary of the school. 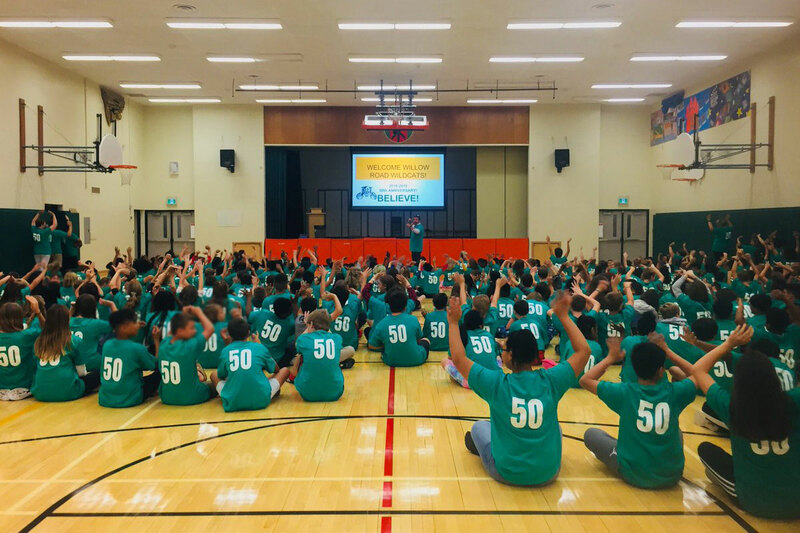 As part of the celebrations, staff made t-shirts for the students and staff with their motto BELIEVE on the front and 50 on the back. The word ‘believe’ means a lot to the school. It’s about telling kids to believe in themselves, believe in the things they can accomplish. Even the new playground came from years of the community believing that they could make it happen. During the first week of school, they also celebrated a fresh look to the building, including a transformed library learning commons.